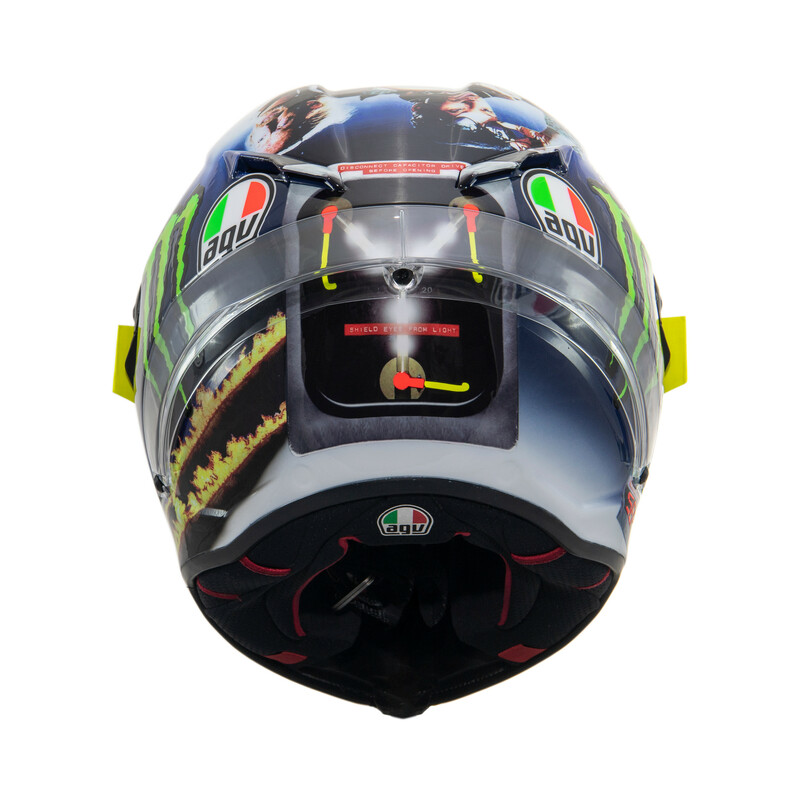 To celebrate the MotoGP Grand Prix at the Misano World Circuit last weekend, Valentino Rossi’s newest helmet had a “Back to Misano” livery as a play on the Back to the Future movie franchise. This AGV Pista GP R is adorned with big, blocky font inspired by the old movie poster, a DeLorean time machine, and Rossi and his crew chief Silvano Galbusera reimagined as Marty McFly and Doc Brown, respectively. There are two reasons for the Back to Misano theme. First, this race represented Rossi’s return to the track after being forced to forfeit the 2017 race at Misano. It's also essentially Rossi’s home circuit, as the Misano track is located near his Italian home. This helmet has all kinds of throwbacks and Easter eggs from the old BTTF films. 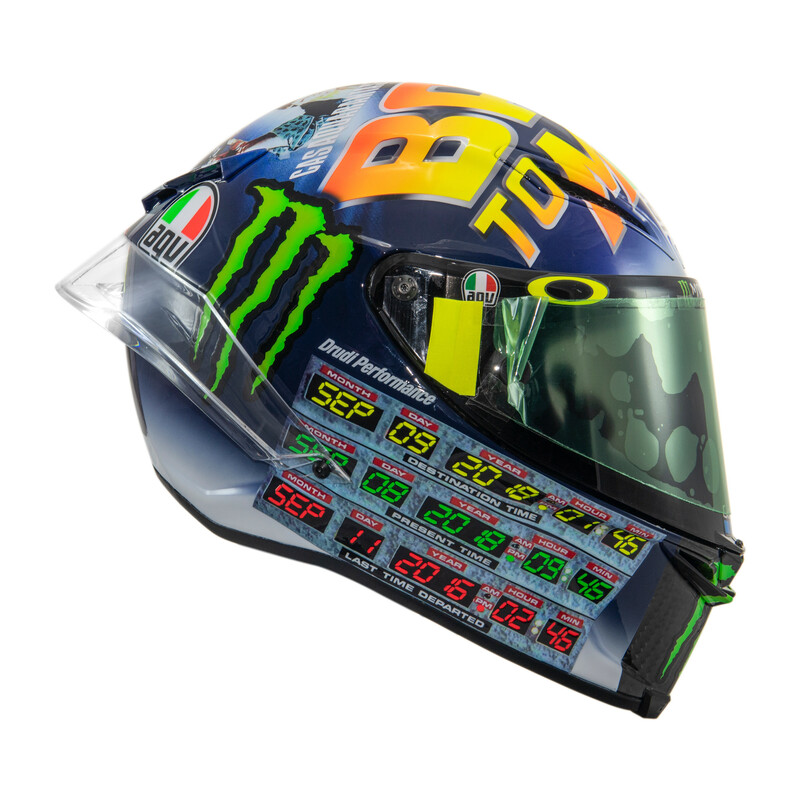 The times on the side of the helmet represent that last time Rossi raced at Misano along with the date of this year’s Grand Prix at the Misano World Circuit in which Rossi came in 7th place. There’s also a flux capacitor pictured on the back of the helmet, which as we all know is what makes time travel possible. Luckily, Rossi has no problem exceeding 88 mph on his race-prepped Yamaha R1. 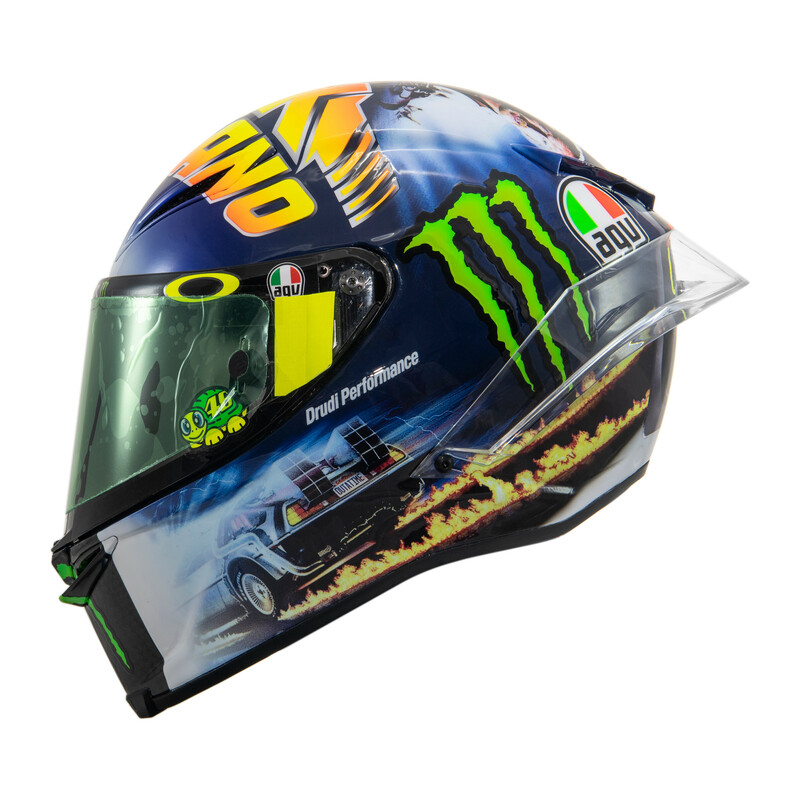 Some Rossi designs are made available for sale for anyone to buy from AGV, but since this one is specific to one race, we’d be surprised to see it commercially available. Regardless, like all of Rossi’s helmets, this one sure is fun to look at.